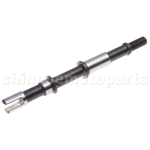 F039-028 Water Pump Axle for CF250cc Water-cooled ATV, Go Kart, Moped & Scooter. The item fits for CF250cc Water-cooled engine. Length:113.5mm Please contact us if you have any questions about the product. 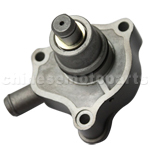 F039-030 Water Pump Assy for CF250cc Water-cooled ATV, Go Kart & Scooter. The item fits for CF250 Water-cooled engine. Please contact us if you have any questions about the product. 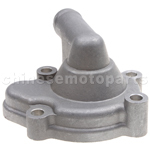 F039-021 Water Pump Cover for CF250cc Water-cooled ATV, Go Kart, Moped & Scooter. 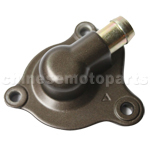 The item fits for CF250cc Water-cooled engine. Please contact us if you have any questions about the product. F039-002 Water Pump Cover for LONCIN CB250cc Water-cooled ATV, Dirt Bike & Go Kart. The item fits for LONCIN CB250cc Water-Cooled Engine. We also provide discounts for you if you buy more. Any questions,please email us. 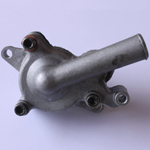 F039-001 Water Pump for LONCIN CB250cc Water-cooled ATV, Dirt Bike & Go Kart. The item fits for LONCIN CB250cc Water-Cooled Engine. We assure you the best quality and customer service. Any questions,please email us. 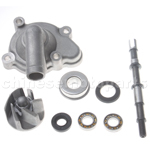 F039-007 Water Pump for Yamaha 260cc Water-cooled ATV, Go Kart, Moped & Scooter. 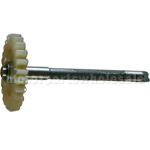 The item fits for Yamaha 260cc Water-Cooled Engine. Please contact us if you have any questions about the product. 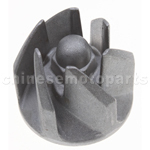 F039-026 Water Pump Impeller for CF250cc Water-cooled ATV, Go Kart, Moped & Scooter Inside diameter:8mm/25mm/34mm Outside diameter:38mm Please contact us if you have any questions aboout the product. F039-027 Water Seal Assy for CF250cc Water-cooled ATV, Go Kart, Moped & Scooter. The item fits for CF250cc Water-cooled engine. 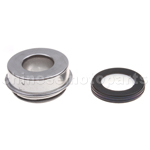 Biggest inside diameter/outside diameter:14mm/19mm Please contact us if you have any questions about the product.